While rumours of this news were circulating a few weeks ago, so we’re not that surprised, maybe folks missed these other hints with regards to forecasting this ever evolving market. As usual overseas press, who could barely contain their delight, didn’t bother to pay much attention in an effort to provide a balanced opinion.. also not so surprised. Ouch.. but wait a second: the Japanese version of so-called “old-fashioned flip phones” somehow managed to “put the entire Internet and more into users’ pockets” like waaaay back in imode 1999.. some Eight Years Before the iPhone. While we’re at it with inconvenient “Ya-Buts”.. they also managed to embed NFC, Digital TV and run Flash easily Four Years before the debut of ‘smartphones’.. rather easy to imagine this PocketGear unit, by NEC no less, from 2001 was an ‘interesting’ experience for Steve Jobs when he visited Tokyo many times back in the day.. then again clearly there was already history with Sharp Zaurus and Newton by that time. Anyway, it’s at least slightly ironic, to be polite, that very same ‘media’ outlet recently grumbled they are Still Waiting for a mobile wallet.. ahuh.. ’nuff said. I did not come online today, with time carved aside, to address the multiple approach logic behind Jpn hardware makers. Clearly, consolidation of NEC with Casio and Hitachi (et all) brings more than bundled bricks to the table. Lets consider, just for a moment, the boggling array of Internal Components these OEMs produce – for ‘all’ device makers worldwide – with essential 3G patents (ahem, which actually ‘does’ put the internet into users pockets) and manufacturing scale to supply critical parts globally. While the discussions with Lenovo did not pan-out this time.. there will always be other fish in the sea. So, lets put our big boy pants for a moment and look at what should seem to be an obvious pivot; the company will focus on their infrastructure core (wanna bet they are part of this) along with next-gen. products and services. Yep, target the market segment who are not jumping up & down for i-Angry-Candy PDAs, with solid alternative offerings. 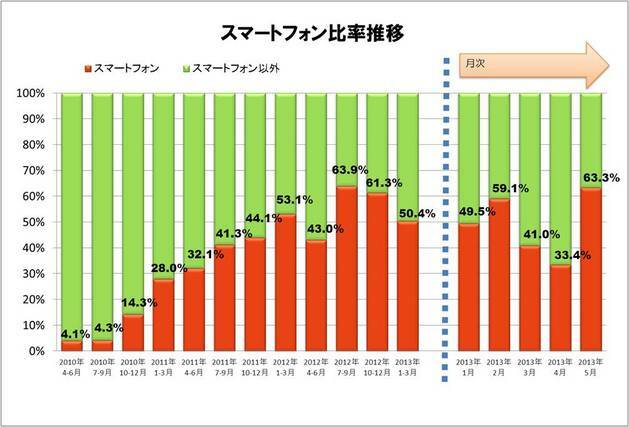 Also interesting to note; smartphones accounted for 63% total unit sales vs. featurephone design models in Japan for May and about even 50-50 split overall for first 5-months of 2013, according to JEITA [Jpn]. Thinking there will be plenty of open-ice in all other markets as well, as Wayne Gretzky famously said: move to where the puck is going to be. At any rate, shame it seems their much touted MEDIAS unit was maybe just a bit too early.. we can re-visit that ‘laggard’ notion again in a few years. Meanwhile, as always it will be interesting, the standard “nou aru taka wa tsume o kakusu” refrain will be lost on only those who are not really paying attention to the bigger picture. Ok.. now, lets get back to work. Update: Based on several back-channel exchanges, and related posts from elsewhere, since filing comments above yesterday.. to be clear, as stated in the official Press Release: NEC will continue to produce both featurephones and tablets. Also should add that we have seen several non-pda style Android powered models ship here over the years, this slider by Sharp for example, and note the company is a founding member of Tizen. Trust that helps clear the air somewhat and hopefully offer pause for future innovative considerations!